Today’s ASX oil and gas junior looks to have two mega projects of magnitude and scale on its hands. One project is in Alaska, on the famous North Slope, the other project – the main focus of today’s report – is its project in Mongolia. Whilst, the company’s Alaskan entry is expected to be a high impact play, it is this second opportunity that puts its right at the doorstep of China’s gas demand/supply requirements that could have immediate even higher impact results. 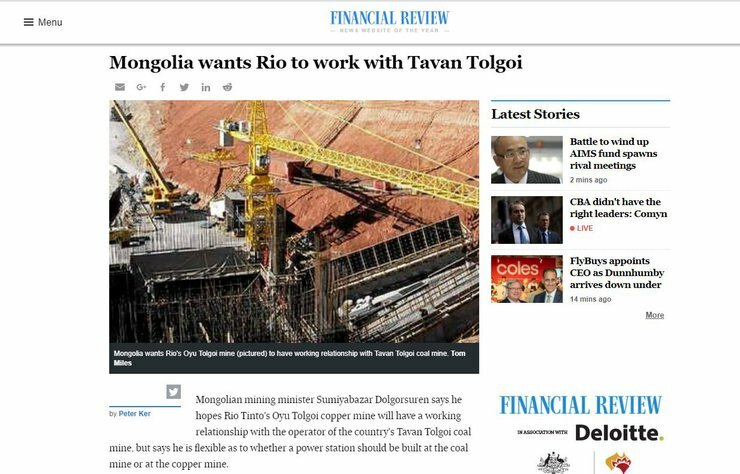 News this week with regard to its Mongolian asset has already had a big impact. 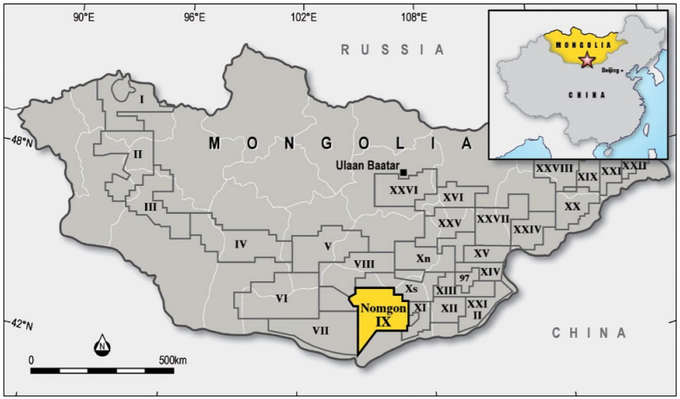 In a market-moving announcement made on 19 November, the company confirmed it had a potentially giant gas resource within its wholly-owned Nomgon IX Coal Bed Methane (CBM – known as coal seam gas – CSG – in Australia) Production Sharing Contract (PSC) located in the South Gobi Desert in Mongolia. The announcement lifted its shares 10%. ERCE Equipose Pte Ltd released its Independent Prospective Resources Report with regard to the Nomgon IX CBM. The highlight is the best estimate unrisked recoverable CBM gas prospective resource of 40.1 trillion cubic feet (TCF). That’s a huge multi-trillion cubic feet natural gas resource. On top of that is a risked best estimate recoverable CBM gas prospective resource of 7.6TCF – that’s still a number roughly equal to all the gas produced in Australia’s Cooper Basin in the last 50 years. This is the first unconventional CBM PSC to be issued in Mongolia under the country’s new 2014 Petroleum Law which provided for favourable fiscal terms for unconventional petroleum. The final kicker is that all of this exists in just 20% of the area being considered. 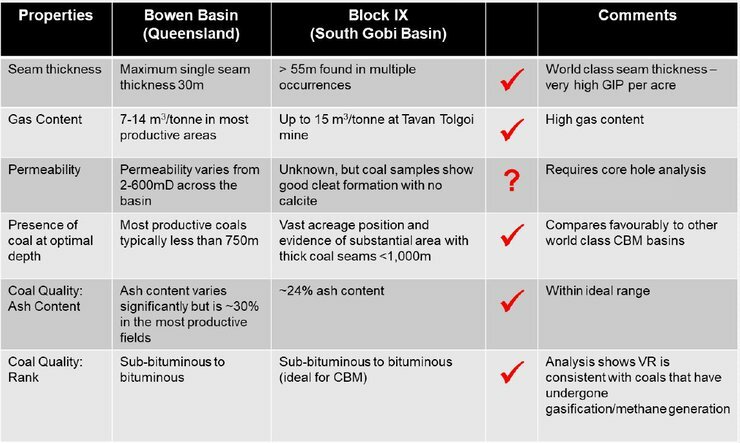 Now consider that the Nomgon IX Coal Bed Methane Production Sharing Contract, has a 10 year exploration period and covers approximately 30,000 square kilometres, and you get an idea of how large the scale and scope of this project could be. World class thermal coal deposit within the project area. The recently released independent report is the first of many milestones to come, with the next major news expected to be the completion of the acquisition of Golden Horde Limited. Golden Horde is essential in today’s company’s entry into Mongolia. Golden Horde was formed seven years ago to acquire Mongolian CBM rights. Since then, it has been working on acquiring a PSC with the Mongolian government. Its holdings in the South Gobi Desert are situated in what is considered to be the most prospective basins in the country. Approval of the full acquisition of Golden Horde by today’s $13 million capped company is set for November 28, just days from now. Completion of the acquisition (due two weeks thereafter) could be a major catalyst for this company, especially as it places it immediately proximate to the Northern China gas transmission and distribution network. This means the company is ideally placed for future gas sales into this extensive network. Another macro considerations include Mongolia’s lack of gas production and the strong political desire to replace high emission coal power and heat generation with low emission clean burning gas fired generation. With the potential to find and develop multiple TCFs of gas from CBM in the PSC area, it is feasible that both the Mongolian and Chinese markets can be supplied with highly cost competitive Mongolian CBM. As such, this company’s first mover advantage in this Mongolian region could be a real game changer. With the full acquisition of Golden Horde (GOH) just days away, Elixir Petroleum Limited’s (ASX:EXR) move into the Mongolian oil and gas scene will be complete. 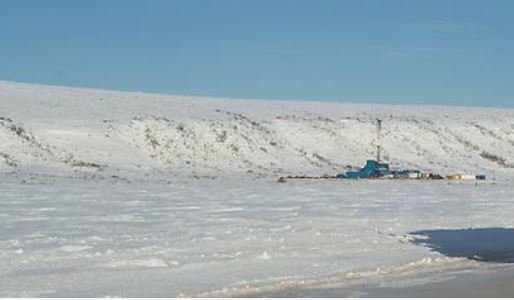 The acquisition has been a year in the making and not only complements its major North Slope Alaska acquisition which closed in early November 2018, but puts it in a position to capitalise on Mongolian and Chinese macro oil and gas fundamentals. EXR’s close proximity to the Chinese border gives the company a distinct advantage if it can progress its asset to commercial production. The location means EXR is ideally placed for future gas sales into the extensive Northern China gas transmission and distribution network, which can be seen in the map below. Currently, most of China’s gas is sourced from overseas markets. Australia is a big exporter of gas to the China market. Gas producers in the US have also been targeting this lucrative market. However, in recent trade wars, China hit the US LNG with a 10% tariff and relations are currently strained. It’s not a good time to be disengaged with China as the International Energy Agency (IEA) has stated that Global gas demand is set to increase by 1.6% annually to 2023, to reach some 4.1TCM (trillion cubic metres). Demand is being driven by surging consumption in the Asia-Pacific region, particularly China. China’s macro position isn’t the only reason why EXR has taken its position and feels so strongly about it. Mongolia currently has no gas production and there is a strong political desire to replace high emission coal power and heat generation with low emission clean burning gas fired generation. It is indeed moving towards cleaner energy future, based on gas and renewables. With the potential to find and develop multiple TCFs of gas from CBM in the PSC area it is feasible that both the Mongolian and Chinese markets can be supplied with Mongolian CBM. On 19 November, EXR announced the findings of Independent Prospective Resources Report recently completed by ERC Equipoise (ERCE), the results of which are outlined below. That 40.1 number seen below in red is significant and could be a company maker. It means the company has a potentially giant resource on its hands. The estimated resource is expressed in both unrisked and risked recoverable prospective resources in order to provide potential investors with the varying degrees of likelihood regarding possible resource recovery. 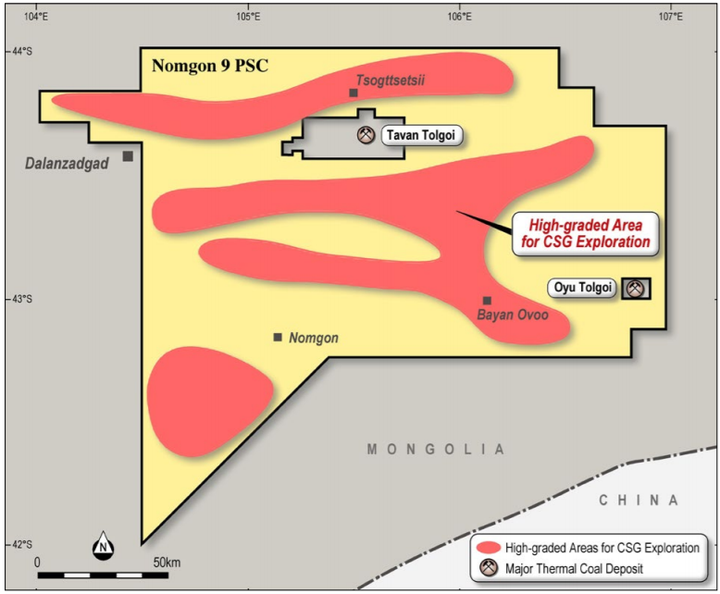 ERCE has estimated a potentially giant gas resource within EXR’s 100% owned Nomgon IX Coal Bed Methane (CBM) Production Sharing Contract (PSC) located in the South Gobi Desert in Mongolia. The report was compiled based on data from a wide range of sources compiled by EXR and was reinterpreted and validated independently by ERCE on behalf of GOH which, as mentioned above, EXR intends to acquire following receipt of shareholder approval on 28 November 2018. EXR views the results of the report as “fabulous”. It is the culmination of over seven years of work conducted by GOH, when that company first identified Mongolia’s potential. As a point of interest, GOH Managing Director Neil Young will join EXR to help the company move the project to the next stage. Young is a Santos (ASX:STO) veteran, who also has considerable experience in the small cap space, so he knows a thing or two about working successful projects. EXR is now quickly building its technical database to further understand this large CBM PSC and is establishing a clear path forward. Further exploration, appraisal and evaluation work is required to determine the existence of a significant quantity of potentially movable hydrocarbons and work will begin with a 2D seismic acquisition scheduled for May 2019. Prospective resource assessments were estimated using probabilistic methods in accordance with 2018 SPE-PRMS standards. The data includes gravity and magnetic data, detailed field mapping information and interpretation of relevant core hole logging from within the PSC. ERCE determined prospective areas for CBM production by combining elements from surface geology and gravity maps. The areas where Permian and older sediments outcrop were excluded from the prospective areas. High and low definition gravity maps were provided by EXR, and the prospective areas were defined where there are gravity lows and where there are no outcrops of Permian and older sediments. Other input parameters used to calculate the Gas Initially In Place (GIIP) number include net coal thickness, coal density, gas content, ash and moisture content. These input ranges were primarily sourced from core holes within the Tavan Tolgoi area, one of the world’s largest coal deposits, located in the south of Mongolia about 240km from the Chinese border. Tavan Tolgoi holds estimated reserves of 7.5 billion tons of coking coal. As you can see from the map below, Tavan Tolgoi is located within the PSC, but excluded from the PSC itself. Data from Tavan Tolgoi indicate gas contents of up to 15m3/tonne (480 cf/ton), at depths of 467 metres below surface. These numbers are high by world standards. As alluded to earlier, as an added bonus there is already nearby infrastructure from RIO’s OT Mine that EXR can utilise. ERCE applied a recovery factor range based on recovery factors estimated from US CBM formations. The US has multiple producing CBM regions, so a suitably wide range for recovery factor can be derived to apply to an undeveloped CBM resource. The chance of development was not applied to the risked recoverable prospective resources but is estimated by ERCE to be 50%. Looking forward, following completion of the environmental impact assessment (EIA), the exploration program will commence with 2D seismic acquisition, currently scheduled for May 2019. The objective of the seismic program is to identify locations for the initial CBM drilling campaign later in 2019. Both programs are expected to significantly de-risk the project. Mongolia isn’t the first place you would think about when looking at the oil and gas scene. Certainly, Alaska is front of mind and we will get to that shortly, however when you look deeply into what is happening in the East Asia region, gas acquisitions in Mongolia make sense. The highlights are numerous and include seven million net acres, in a coal bearing sedimentary basin, 40.1TCF unrisked, 7.6TCF risked, first mover advantage, nearby infrastructure, 100% ownership and close proximity to markets crying out for gas supply. We expect plenty of news to flow from Nomgon IX CBM in what could be a period of excellent growth for EXR. 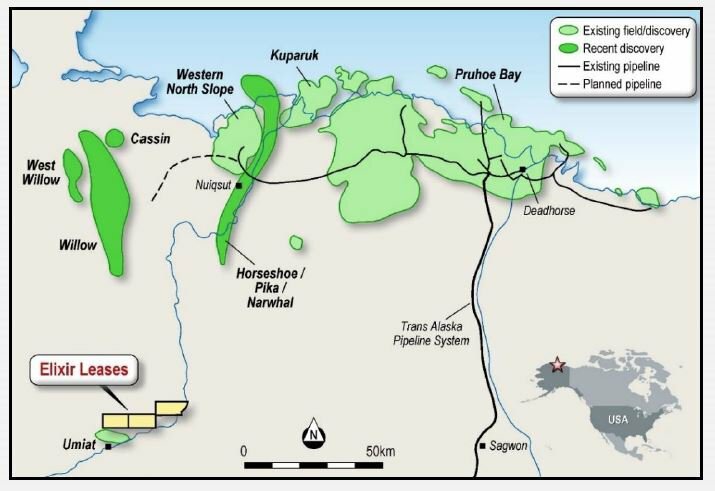 However, not only will EXR acquire the Nomgon IX CBM asset in the next couple of weeks, it has also recently acquired a 100% working interest in holds ~140km2 (35,423 acres) with the National Petroleum Reserve of Alaska, known as Project Peregrine. It is in close proximity to oil plays with multi-billion discoveries. That’s where Oil Search (ASX: OSH) made its recent $850 million entry and where ConocoPhillips (NYSE: COP) is building a new, roughly $1 billion production facility, a site that is expected to produce up to 40,000 barrels a day. The land is just 75 kilometres south of the multi-billion dollar investment made by ConocoPhillips at its Willow oil discovery. Those who are familiar with the Next Oil Rush and in particular our coverage of the $100 million capped 88 Energy (ASX:88E) – a company we have been covering since 2014 when its market cap was less than $10 million – will know that Horseshoe is part of the billion barrel plus Nanushuk oil play fairway – one of the largest conventional oil fields discovered in the US in more than 30 years. 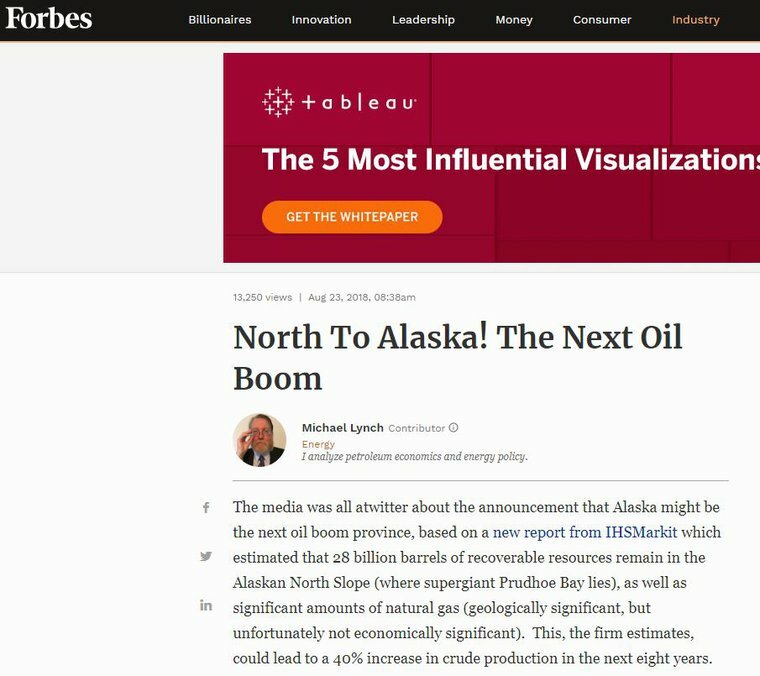 The Alaskan North Shore has produced 16.8 billion barrels of oil to date. In 2017, there was a large spike as recoverable resources increased six-fold in previously ignored shallow formations, totalling an estimated five billion barrels. M&A activity in the region is high with Oil Search (ASX: OSH) making an $850 million entry to the North Slope, ENI purchasing of Caelus Energy’s exploration acreage (for an undisclosed sum) and ConocoPhillips’ (NYSE: COP) asset swap with BP. Exploration in Alaska is being labelled the new Alaska Oil Boom and with low annual holding costs of just US$3 per acre and leases valid through to 1 March 2024, EXR is looking to stake its own major claim. At the Project Peregrine, work is currently underway to compare data to more recent discoveries and look for analogues within its current lease position. EXR also has the opportunity to expand its land position if the numbers start to work in its favour. There is plenty to like about EXR’s Alaskan play and it nicely complements the work that is being done in Mongolia. EXR is making two major plays in two vastly different locations, but both are low cost projects that could have plenty of upside. It is the Nomgon IX CBM PSC work that is currently progressing at pace and we can expect a great deal of news flow in the coming weeks and months as EXR ramps up its exploration program. EXR has already completed field mapping, with gravity and magnetics integrated, it has finalised its prospective resources report and got its environmental impact assessment underway. It will now focus on a 2D seismic acquisition to accurately image the Permian depocentres and will commence drilling to prove permeability and further de-risk the prospective resource. This is a company which looks to have picked up momentum that will continue through the next 12 months at least. If it does hit all its planned milestones, its $13 million market cap may not stay that way for too much longer.